I am called back to the memory of Assisi. The pink stoned walls and the peaceful prayers whispered on the way up to the Basilica of Saint Francis. Francis. The name of our new Pope. He chose the name of a man who traced the pink walls with his hands. Once rich and robed, he tossed out his wealth to choose the countryside instead of his castle. A man who sang to the earth and called out to brother moon and sister sun. 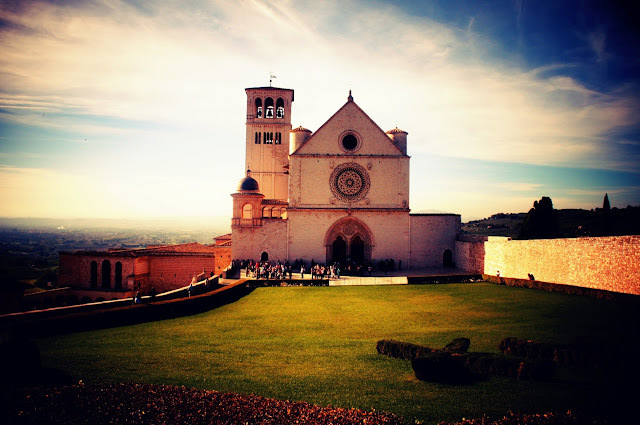 A man whose heart longed to be this channel of peace and borne out of his heart is Assisi. A peaceful little city crowning the mountains Umbria, Italy.